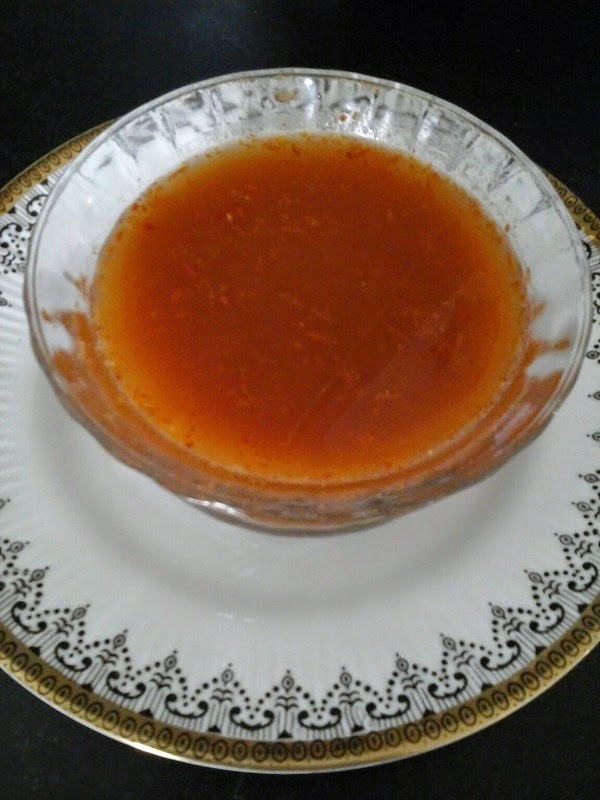 This ' Saute, Blend, Simmer ' Tomato Rasam is my family's favourite, and preparing it is like child's play . The taste and flavour are no less than that of other Rasams cooked with much elaboration. 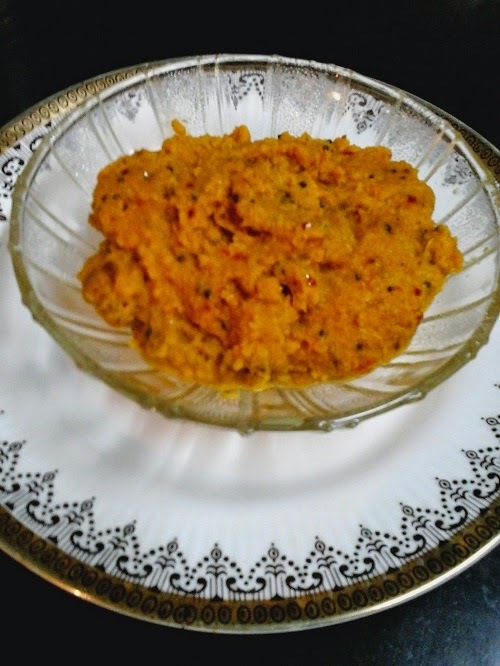 Heat ghee and add all the ingredients except the grated coconut, asafoetida, salt and tomatoes. Roast on low flame till the spices emanate a very pleasant aroma and then add asafoetida followed by tomatoes.Cover and cook on low flame till the tomatoes become slightly soft. Allow to cool and then blend the sauteed ingredients with coconut gratings into a smooth paste. Add salt . Pour one liter of water to the tomato paste in a slow and steady stream. Cook on low flame till the Rasam becomes foamy and switch off flame when it is about to boil over. Enjoy the flavoursome Tomato Rasam as it is or with steaming hot rice. 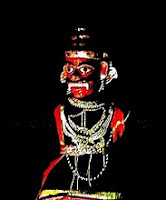 Puli Aval is the customary food offering prepared for the Lord during Mahashivaratri. 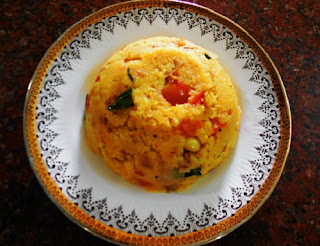 This simple and easy to prepare dish is made even more easy with the Instant mix. This is my sister-in-law's recipe. It comes in handy as a quick, healthy, filling and very tasty meal for my nephew who is a student in a far off country away from sweet home. 1. Dry roast coriander seeds, Bengal gram dal, black gram dal, pepper, cumin seeds, red chillies and fenugreek seeds till you get a pleasant aroma. 2. Add asafoetida and curry leaves and roast till dry. 3. Remove fiber from the tamarind, shred it to small bits and dry roast it separately till it becomes almost dry. It will turn very dry and crisp on cooling. 4. 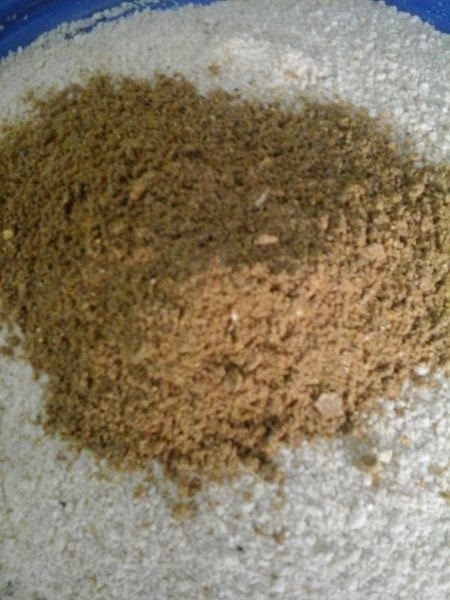 When all the ingredients are cooled grind them together into a fine powder. 1. Dry roast the hard beaten rice till it starts popping. Use low flame so that it does not get burnt. 2. Cool the roasted beaten rice well and then give it only one swish in the mixer. The beaten rice when broken should resemble semolina grains. 3. Remove from the mixer and mix the spice powder and salt into the broken beaten rice using a spatula. 1. Spread out the spiced up broken beaten rice on a plate and add the turmeric powder on top. 3. When it splutters add the Bengal gram dal and black gram dal. 4. 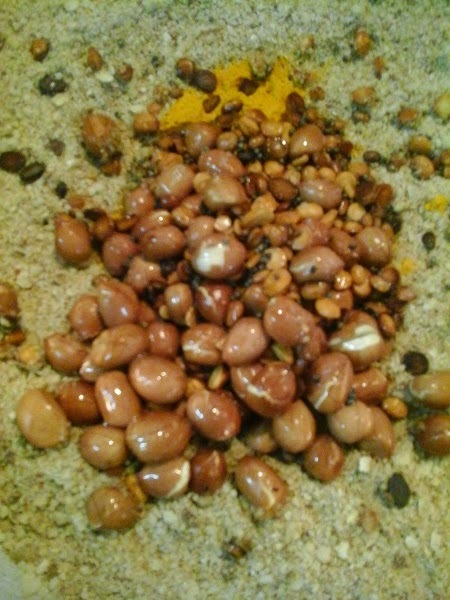 When the dals start turning to a golden colour add the peanuts and roast till they crack. 5. Pour the seasoning over the turmeric powder. 6. Mix all the ingredients together. 7. Store in an air tight jar for future use. Add one volume of boiling water to one volume of Instant Puli Aval Mix , cover with a lid and allow it to stand for 15 minutes. 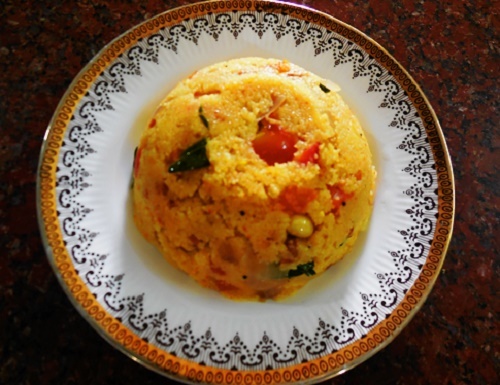 Fluff up the deliciously fragrant Puli Aval using a fork and enjoy with a cup of cool yogurt. I loved to cook traditional dinners for my son and daughter-in-law during my stay with them. It was heartening to watch them relish their dinner at leisure after a long days work. 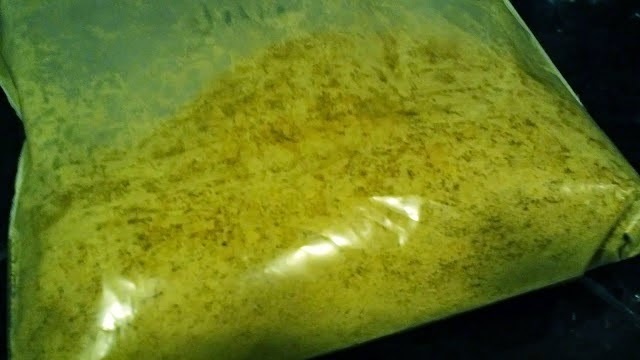 On one occasion when I prepared Kharabath , I happened to stumble over some left over Pesrattu batter stored in the refrigerator.
" What an idea Sirji !" The popular tagline popped up in my mind and the outcome was this Andhra Special Pesrattu for dinner. 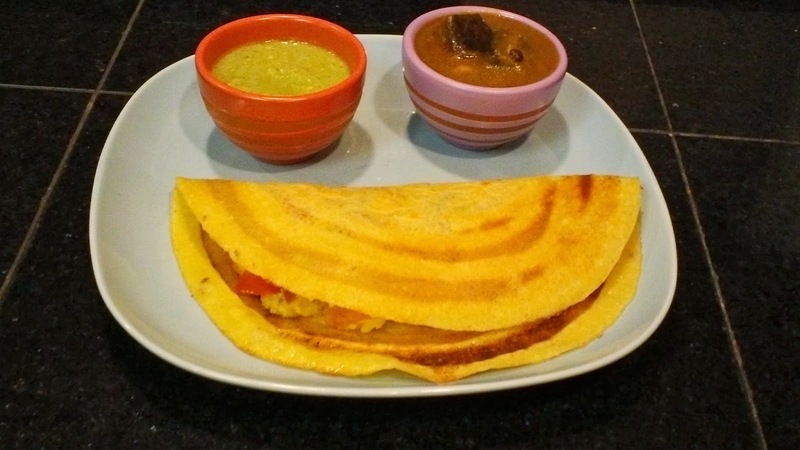 Here is the recipe for Andhra Special Pesrattu from scratch. 1. Soak green gram dal for at least half an hour. 2. Grind the soaked dal with green chilly, ginger and salt into a smooth and fluffy batter adding water. The consistency of the batter should be slightly thinner than that of Dosa batter. 3. 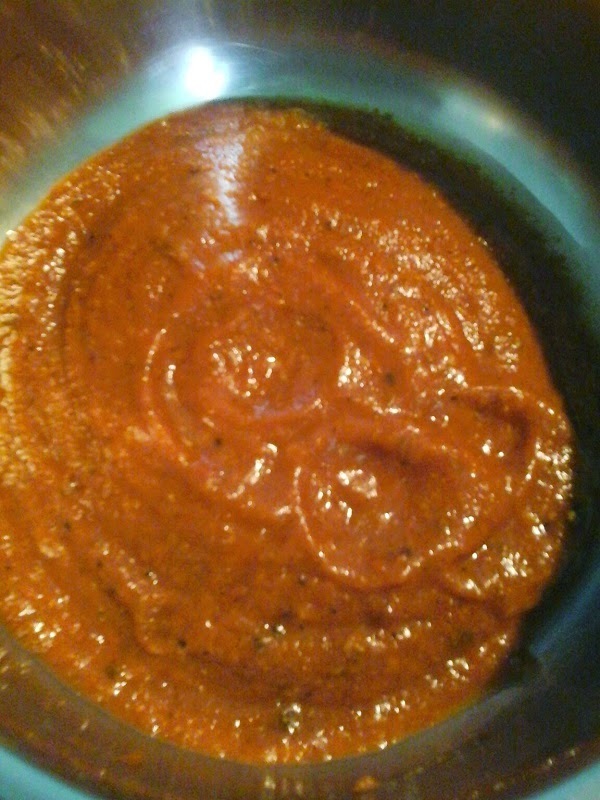 Add pepper and cumin seeds and grind for one more minute, allowing them to remain slightly coarse. 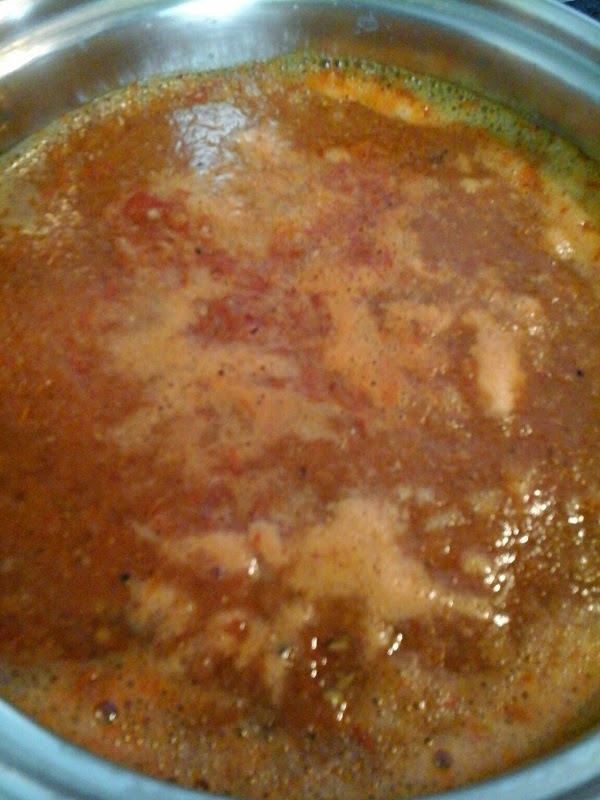 To start with add the chopped tomatoes, salt and sambar powder to three cups of water and set it on a burner for boiling. 1. Heat oil in a kadai and add the mustard seeds using the second burner of your stove. 2. 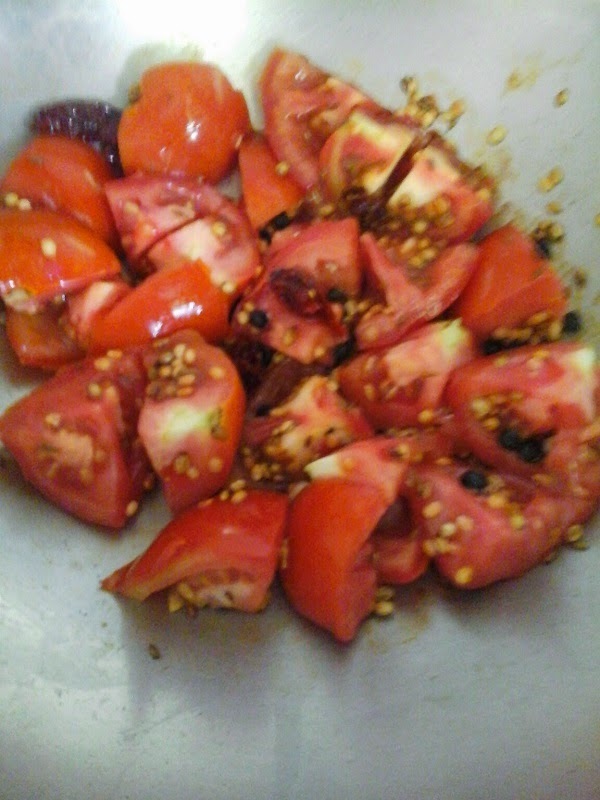 When the seeds splutter add the black gram dal and roast till it turns golden in colour. 3. 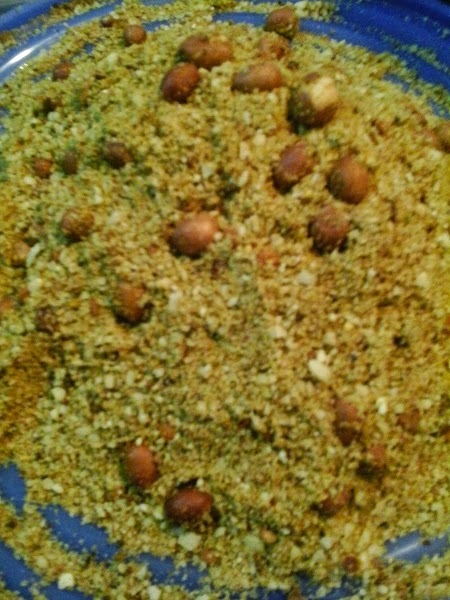 Add cashew nuts/ peanuts and roast till golden in colour. 4. Add asafoetida and throw in the green chillies, ginger and curry leaves followed by chopped onion. 5. Saute till the onion turns pink in colour and then add turmeric powder. 6. 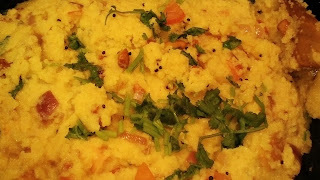 Add the semolina and fry till it emanates a very pleasant aroma and decrease flame. 7. Switch off the first burner and gently pour the boiling tomato and spice water into the kadai. 8. 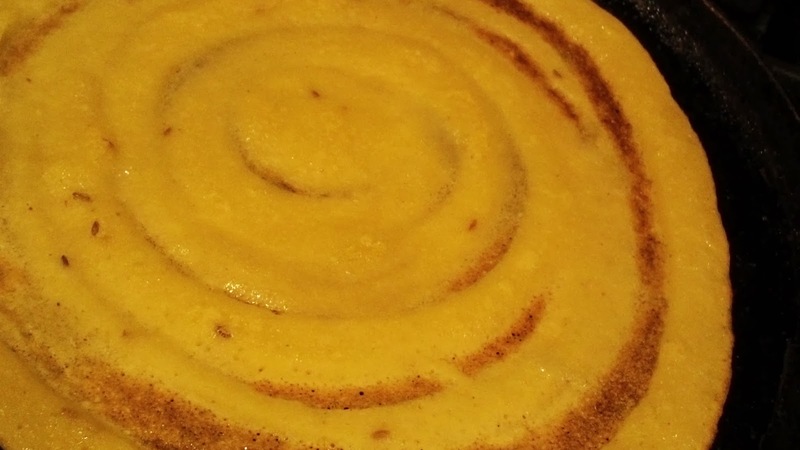 Keep stirring the semolina so that it does not form lumps. 9. 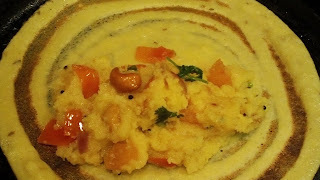 Cook on low flame till the semolina thickens and is thoroughly cooked. 10. Add ghee and stir well .You can see the Khara bath leaving the sides of the kadai. 11. Squeeze in the juice of lime and blend well. Switch off flame, garnish with coriander leaves and cover with a lid. 1. Heat a greased tava and pour a ladle of the prepared batter in the center. 2. 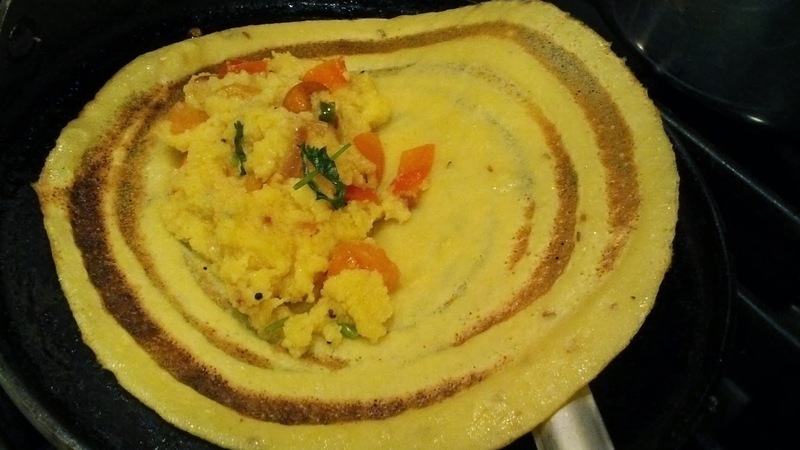 Spread the batter into a Pesrattu using the back of the ladle. 3. Dribble little oil or ghee around the Pesrattu and roast till it is done. The edges will come up easily and you can see the golden colour of the roast underneath. 4. 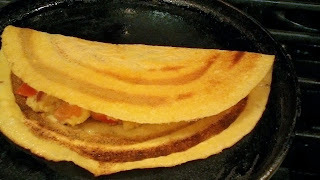 Place a scoop of Khara bath on one side of the Pesrattu and fold the other half over the stuffing. 5. Top it with a dollop of butter to make it double special and remove it on to a plate. Enjoy the hot Andhra Special Pesrattu with eggplant gojju and chutney. Lactation Cookies - Nutritious Cookies For One And All ! NUTRITIOUS COOKIES FOR ONE AND ALL ! My daughter-in-law is proficient in baking. 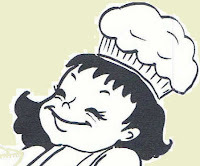 We have enjoyed her cakes, muffins, scones and cookies with tea after our long walks in the cold winter afternoons. She obtained the recipe of this healthy and nutritious cookie from one of the new moms she met at the New Moms Group meeting. I learnt that brewer's yeast, oats and flax seeds are lactogenic ingredients and that they help considerably in increasing the breast milk. Hence they are also known as Lactation Cookies. I stood watching while she prepared the yummy cookies and scribbled down the procedure, while the rest of the family helped in clicking the pictures. 1. Dry roast Oats on low flame till it emanates a pleasant flavour and allow it to cool. 2. Mix wheat flour, baking soda, salt and cinnamon powder together and keep aside. 4. 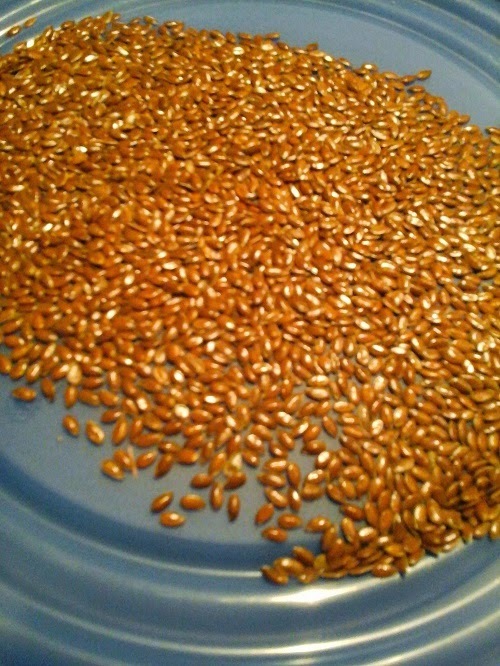 Mix in the flax paste. 5. Add the wheat flour mixture to the above and blend well. 6. Mix in the chocolate chips / nuts and raisins. 7. Finally add oats and mix well. 8. Pinch out lemon size balls from the dough and slightly flatten them into cookies. 9. Place the cookies on a greased baking sheet and bake for 12 minutes in a preheated ( 350 Degrees F) oven . Cool the cookies and store in a clean airtight jar. Lactating or not , this is a delicious 'must savour ' cookie to be enjoyed by one and all . We did ! After relishing dozens and dozens of Kamala oranges till the very end of the season , we have already started yearning for the next season to begin ! First and foremost the juicy fruits ( also known as Loose Jackets and Mandarin Oranges ) taste nectarine and are very addictive. Secondly the loose peels taste heavenly when used in the preparation of a spicy gojju or chutney. Hence the name 'Double Delight'! When D2 tasted the Orange peel chutney she animatedly exclaimed "Sakkat Sippe Chutney!" 1. Peel and relish the Kamala first. 2. 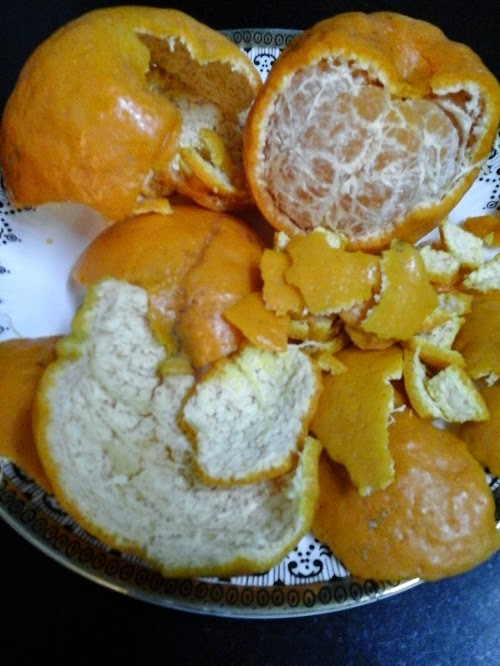 Collect the fresh peels, wash thoroughly and chop them into small pieces. 3. Heat 1 tsp of oil and add the red chillies. 4. When the chillies turn crisp add the chopped orange peels and saute till they are lightly cooked. 5. 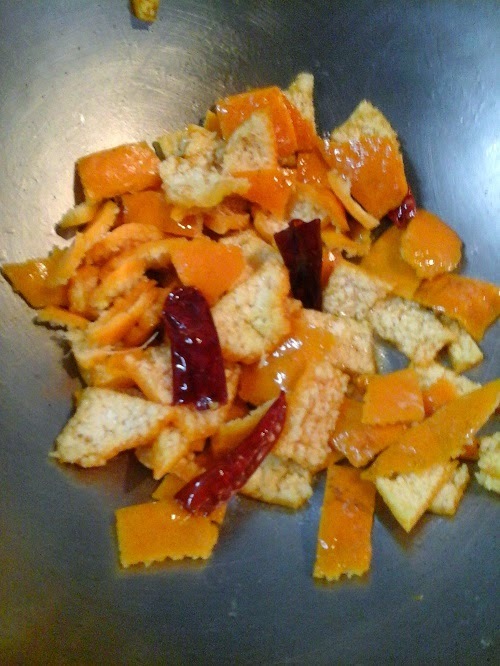 Grind the sauteed peels with salt, tamarind and jaggery into a slightly coarse paste. 7. 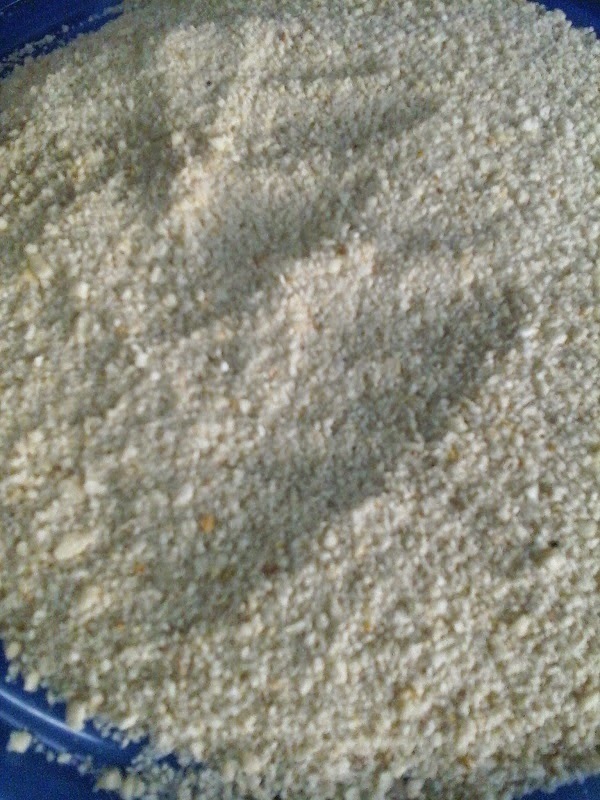 When the mustard seeds crackle add the ground chutney and stir well. 8. Cook on low flame till oil separates. 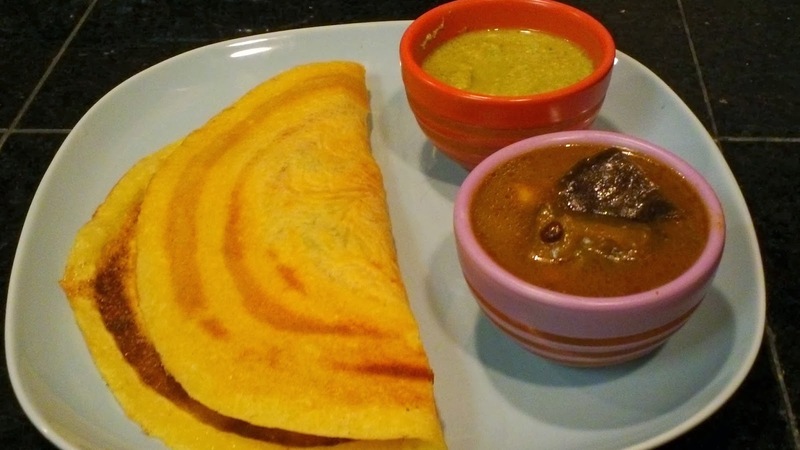 Enjoy the 'orangy', 'tangy', Sakkat ( Super ) Sippe ( Peel ) Chutney with dosas , chapaties or with steaming hot rice, of course topped with fresh ghee ! You can also use it as a bread spread. 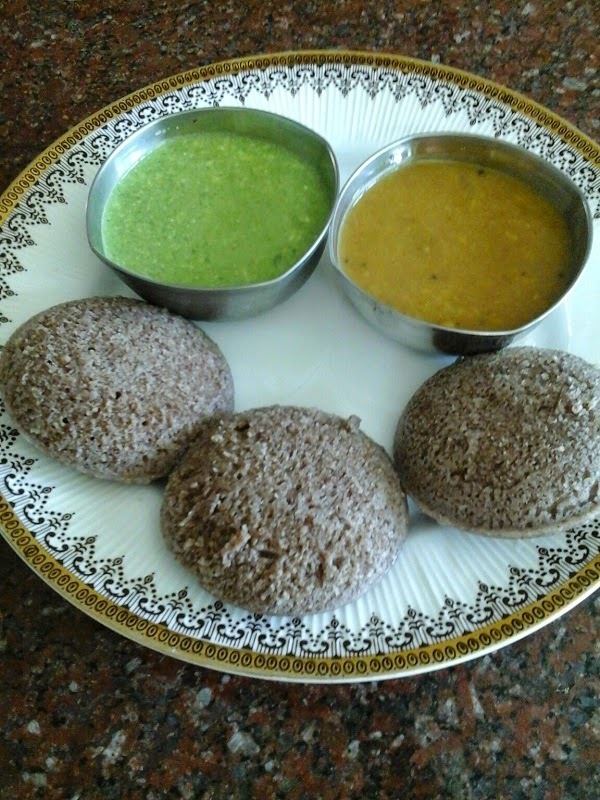 We have Ragi Idlies for breakfast very often . 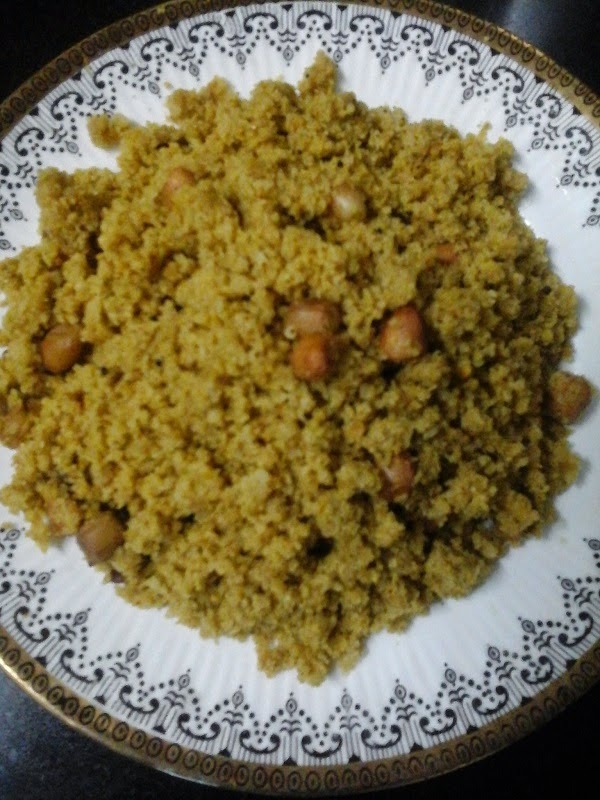 But I have not posted the recipe of this simple but power packed dish till now. Here is how I prepared it for today's breakfast. 1. Soak the black gram dal for an hour with fenugreek seeds and beaten rice. 2. Grind the soaked ingredients into a smooth and fluffy batter. 3. Add salt and sugar and blend it for another one minute. 4. Remove the batter into a deep vessel. 5. Add the Ragi flour to the batter and mix thoroughly using your hand. Add more water if required to get the idly batter consistency. 6. Cover with a lid and leave it overnight in a warm place. Use the fermented batter to make soft and fluffy Ragi Idlies. 7. Pour the batter into the greased Idly moulds and steam for 15 minutes. Enjoy them while they are still warm with a liberal quantity of onion and tomato Sambar, chutney and idly Molaga podi. Do not forget to top the idlies with fresh ghee.